A huge thank you to our #WMTC16 2016 sponsors! Looking back on the pre-conference workshops and wine expo, the day was a huge success offering content for attendees who received in-depth information on social media and online advertising targeted for the wine industry as well as tasting room management, best practices for tour operators and a winery associations summit. To see what sessions were offered during the workshops this year, read the descriptions and their associated blog posts here. Following the workshops, the 2016 Wine Tourism Expo did not disappoint with a heavily attended wine party celebrating wines from across the country. Wine was poured and presented to attendees from emerging wine regions and, of course, wines produced locally in the Texas Hill Country. After networking and making some new friends, many attendees were whisked off the William Chris Vineyards for a private wine dinner and winery tour. Today marks the first official day of #WMTC16 beginning at 9am with Bryan Daniel from the Economic Development and Tourism Division of the Texas Governor’s Office. 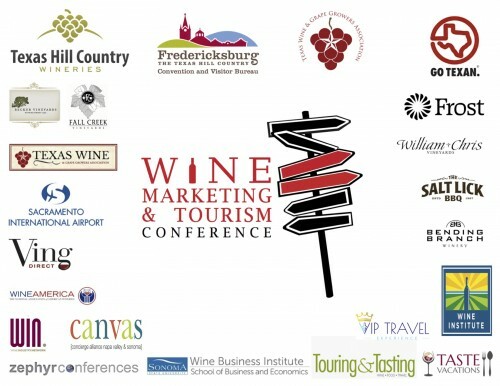 This morning, WMTC16 content will continue to focus on wine and tourism progression in Fredericksburg, Texas and the beautiful Texas Hill Country. Attendees will have the opportunity to hear from principal players in the wine tourism development in the area and learn more about winery development and production in Texas. Following an in-depth introduction to Texas wines will be a panel of wine writers discussing relationships with wineries, wine tour operators and destination tourism agencies working as influencers in the wine industry across the country. Attendees are all invited to Woodrose Winery for a wine lunch excursion which will be a real treat. As we continue into day 1, be sure follow along with the agenda for the day and stay tuned with all things #WMTC16 on Twitter!